The SSC Combined Higher Secondary (10+2) Level (SSC CHSL) is a nationwide exam conducted for the recruitment to the posts of Lower Division Clerk (LDC), Data Entry Operator (DEO), Postal Assistants / Sorting Assistants (PA / SA) in various central government departments and ministries. In this article, we bring to you a detailed section-wise syllabus and previous year’s cutoffs of SSC CHSL exam. 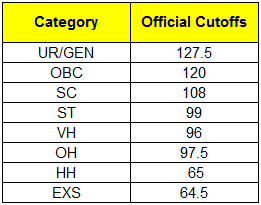 Here we bring to you the previous year’s cut-offs for tier-I examination to help you strategize your preparation better. Oliveboard has launched the test series for the SSC CHSL 2017 to help you prepare for this coveted exam. 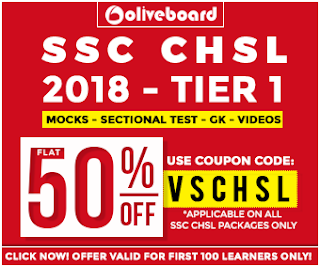 Now, avail Flat 50% OFF on SSC CHSL Test Series. Hurry up; offer valid for first 100 learners only. Note: Register to redeem offer. All the best for the exam!